Many visa applications (whether for business, tourism or study) are rejected by Italian embassies and consulates, because the risk of illegal immigration. Many times, according to the opinion of the visa offices, the foreigner does not intend to leave the territory of the Member States before the expiry of the visa. The Visa offices must verify the migratory risk, especially in those countries where there is an high rate of illegal immigration to other countries. But the verification can not be generic and the visa office can not refuse a visa only because the country of origin or residence of the foreigner has an high risk of illegal migration. The visa office of the Italian embassy or consulate must do a depth investigation, case by case, about the existence of that risk. The "Handbook for the processing of visa applications and the modification of issued visas", introduced by Commission Decision C (2010) 1620 of 19 March 2010, itemizes the factors which must be taken into account by the consular authorities in the verification of the migratory risk. These factors are the family or other relationships in the country of residence and in the member country, the employment situation, salary level, the regularity of revenue, possession of real estate, the behavior during previous visa, etc. However, many times the Italian embassies do not follow the instructions of the European Union, issuing denials based on the migratory risk, even when that risk does not exist. Santaniello & Partners is an Italian law firm, based in Rome. 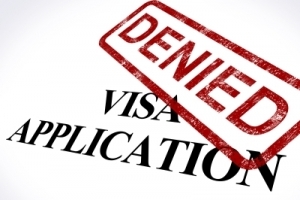 Our professionals have strong and positive expertise in visa denial appeals. If you need some legal assistance, don't hesitate to contact us (click here). Appeal against visa denial of the Consulate General of Italy in New York. The T.A.R. of Lazio suspends the refusal of visa. Appeal against elective residence visa refusal in Italy.